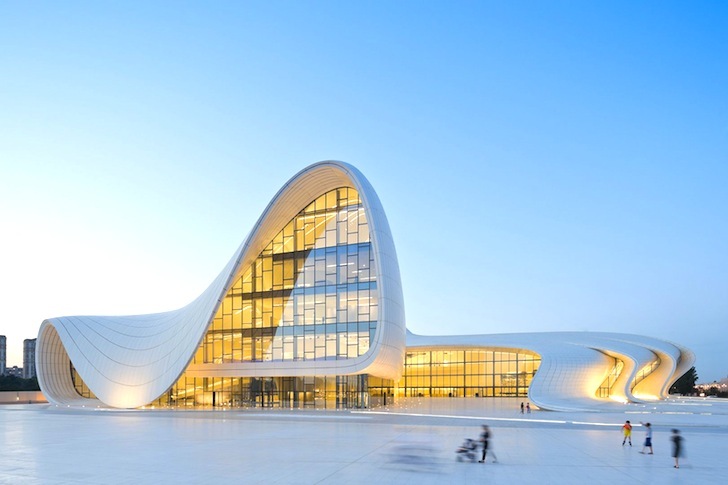 Zaha Hadid's Heydar Aliyev Center in Baku just won the coveted 2014 Design of the Year from London's Design Museum. 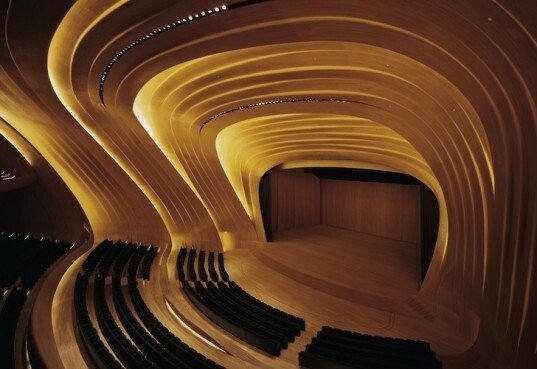 Built with Hadid's signature curves and flowing lines, the Azerbaijani cultural center is an iconic civic space that houses a museum, auditorium, and exhibition space in the country's capital. The project is the first architectural design to ever win the Design of the Year award, and Hadid is the first woman to win top prize in the competition. Now in its seventh year, the London Design Museum’s Design of the Year Award annually recognizes the most innovative and interesting designs from 70 nominated entries in the categories of Architecture, Design, Fashion, Furniture, Graphics, Product and Transport. After a distinguished panel of experts selects the finalists of each category, the seven shortlisted designs are then considered for the annual Design of the Year award. In winning this year’s top prize, Hadid’s Heydar Aliyev Center beat out proposals including the Volkswagen XL1 car and Konstantin Grcic‘s Pro Chair Family. A departure from the harsh and rigid lines characteristic of Soviet architecture, the swooping Heydar Aliyev Center symbolizes a step towards a more optimistic and modern future for Azerbaijan. The white shell is clad in Glass Fibre Reinforced Concrete and Glass Fibre Reinforced Polyester to create the fluid continuous shape that seamlessly connects the building’s interior and exterior with the surrounding urban fabric. In winning this year's top prize, Hadid's Heydar Aliyev Center beat out proposals including the Volkswagen XL1 car and Konstantin Grcic's Pro Chair Family. "We’re absolutely delighted to receive the Design of the Year Award," said Zaha Hadid in a press statement. "The surface of the Heydar Aliyev Centre’s external plaza rises and folds to define a sequence of public event spaces within; welcoming, embracing and directing visitors throughout the building." The building was praised by the jury for its "intoxicatingly beautiful design" and as the "clear vision of a singular genius." The center houses concerts, exhibitions, and other cultural activities. A departure from the harsh and rigid lines characteristic of Soviet architecture, the swooping Heydar Aliyev Center symbolizes a step towards a more optimistic and modern future for Azerbaijan. The white shell is clad in Glass Fibre Reinforced Concrete and Glass Fibre Reinforced Polyester to create the fluid continuous shape that seamlessly connects the building's interior and exterior with the surrounding urban fabric. Lights are recessed inside the ceiling so as not to detract from the fluid shape. The sweeping lines of the building shell is continued in the interior design. 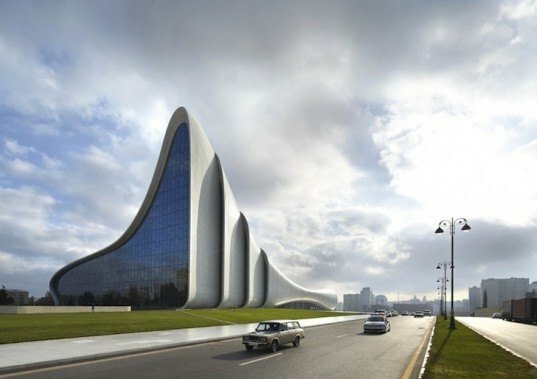 Hadid's triumph not only takes home the distinction as the first architectural design to ever win the Design of the Year award, but also the honor of being the first woman to win top prize in the competition.